George Horlin-Smith likes to keep his game face on until the opening siren has sounded. 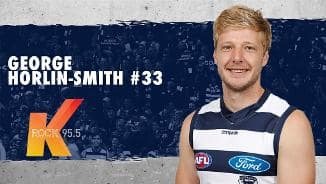 Had a great pre-season and was in career-best form early on, but his luck ran out when he suffered an ankle/achilles injury that meant he didn’t play after round 15, following seven AFL appearances for the year. 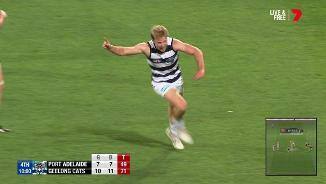 Had one moment of glory when he nailed a match-winning goal late in the round two clash against North Melbourne. Is in the final season of his contract, so it will be up to the midfielder to go from fringe player to regular inclusion. 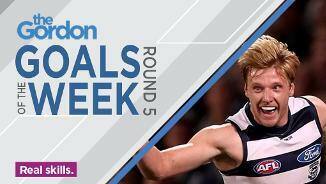 Player honours: NAB AFL Rising Star nominee 2013. Brownlow Medal: career votes 1. 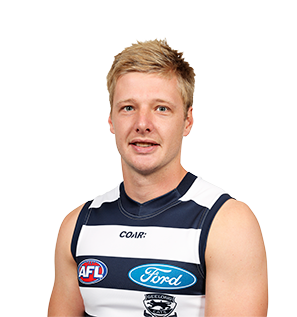 Draft history: 2010 NAB AFL Draft 2nd round selection (Geelong) No. 37 overall.